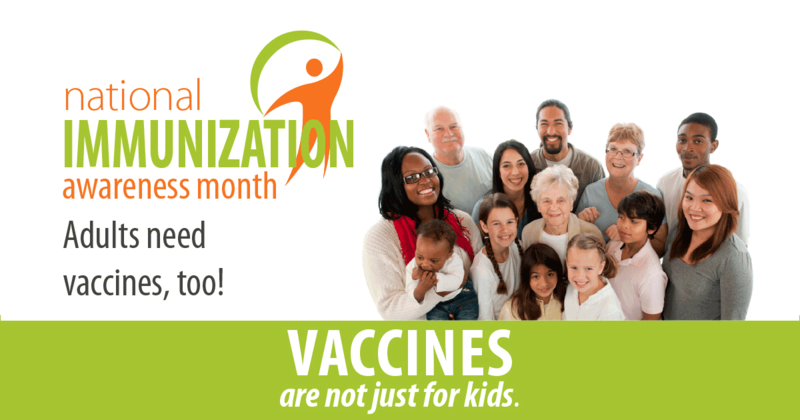 All adults should get an influenza (flu) vaccine each year to protect against seasonal flu. Some people are at high risk of serious flu complications and it is especially important these people get vaccinated. This includes older adults (65 and older), children younger than 5, pregnant women and people with certain long-term medical conditions like asthma, heart disease and diabetes. Every adult should get one dose of Tdap vaccine (tetanus, diphtheria and pertussis) if they did not get Tdap as a teen, and then receive a Td (tetanus and diphtheria) booster vaccine every 10 years. Adults 50 years and older are recommended to receive the shingles vaccine. Adults 65 and older are recommended to receive both pneumococcal vaccines. Some adults younger than 65 years with certain conditions are also recommended to receive one or more pneumococcal vaccinations. Adults may need other vaccines (such as hepatitis A, hepatitis B and HPV) depending on their age, occupation, travel, medical conditions, vaccinations they have already received or other considerations. All adults should talk to their health care professionals to make sure they are up to date on vaccines recommended for them. The specific vaccines adults need is determined by factors such as age, lifestyle, risk conditions, locations of travel and previous vaccines. Most health insurance plans cover the cost of recommended vaccines—a call to your insurance provider can give you the details.